3 is never a crowd in my eyes. 3 is my lucky number and I tend to do things in 3’s. I thought Im so obsessed with 3’s that it was about time I started a new series. I’ll be discussing everything in 3’s!  From my favourites to the things I hate, from beauty to fashion. Anything and everything you can think. 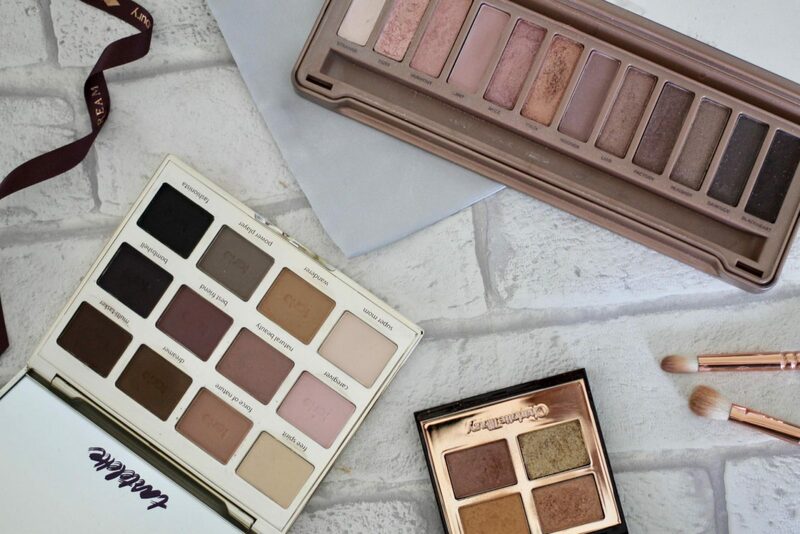 In today’s post I wanted to talk about three eyeshadow palettes that I have been totally obsessed with lately. This three palettes are perfect for everyday during the Spring and Summer and have been my go to for the past month or so. 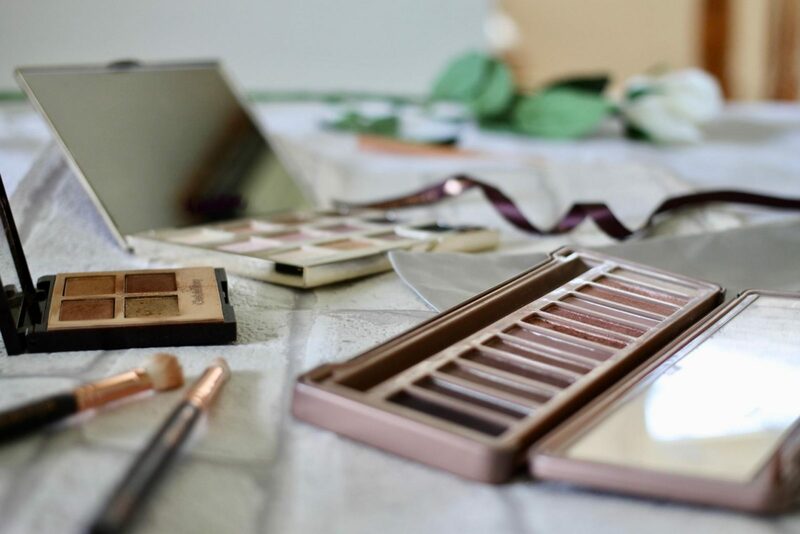 The first one I just couldn’t leave out of this post is the Charlotte Tilbury Legendary Muse, this palette just offers everything a girl could ever want. From the star print on the packaging which just really takes it over the mark for me, to the amazing golds to bronze shades, it really does tick all the boxes. As all CT palettes you get four shades, one of those being a super glittery shade. 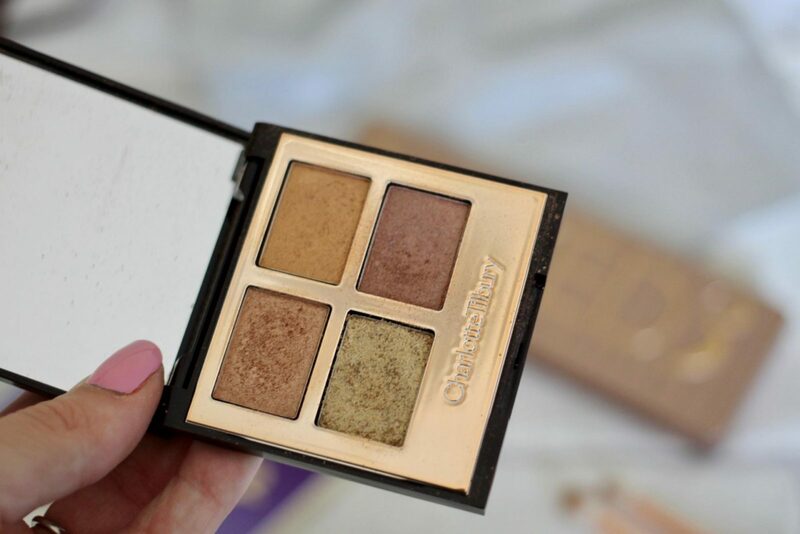 When I go for this palette I tend to use all four shades, which creates the most beautiful smokey golden eye look. This is perfect when you don’t want anything too heavy on the eyes, if your not the kinda girl who wears glitter day to day, you can always use the other 3 shades to create your perfect golden look. This palette is £39, it is currently out of stock but if you sign up to the notification which will then let you know as soon as its back in stock! 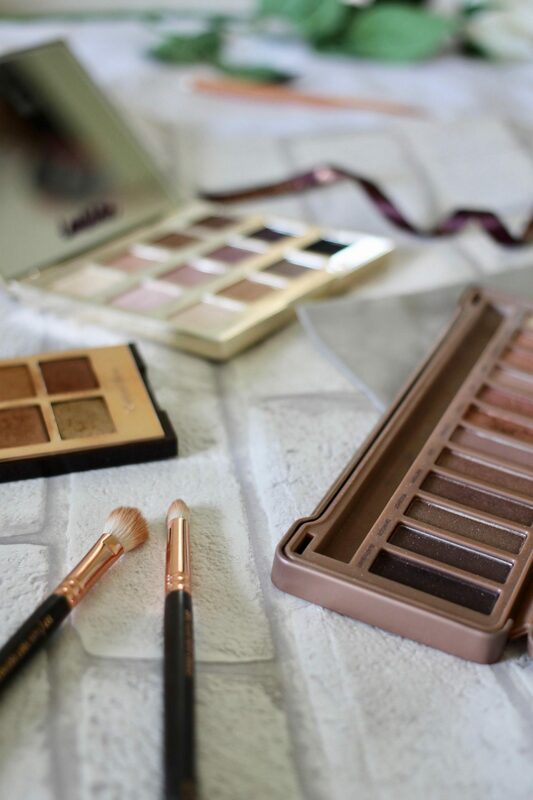 You should all know me by now and should know I wouldn’t have been able to write this post without including at least one of my Urban Decay Naked palettes, today I have featured the Naked 3 palette which is full of some beautiful pink toned shades. This palette is literally soso perfect for Spring, it has a mixture of pink toned matte shades and glitter undertone shades. Can you tell I love anything pink/gold toned for this time of year. 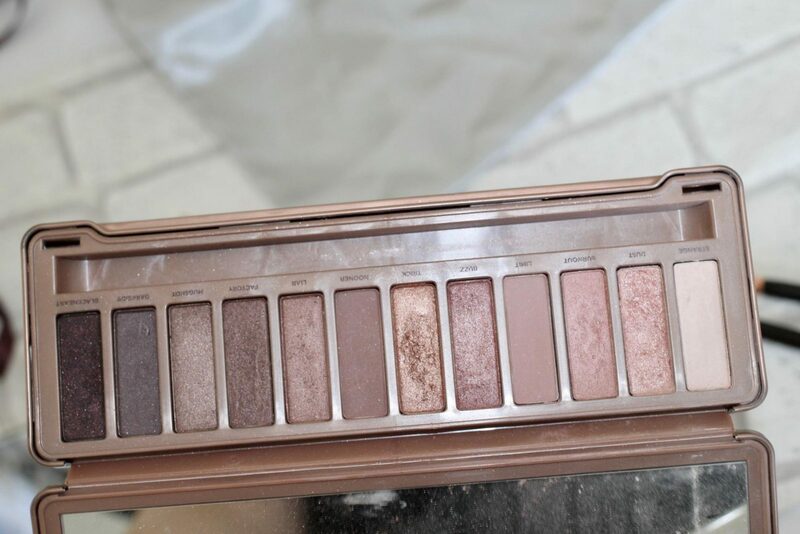 The only one thing I would say about this palette is that it tends to have a lot of fall out and some of the more glittery shades can be a little on the chunky side. This palette costs £39.99, and is definitely worth the investment! The last palette out of all three is a palette I have been obsessed with since September last year. 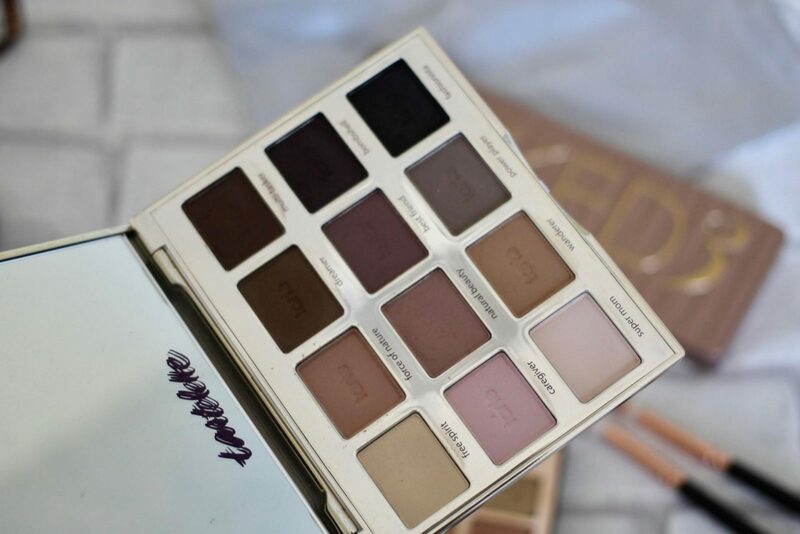 Its an all round amazing palette that has all the shades you could want for an everyday look. 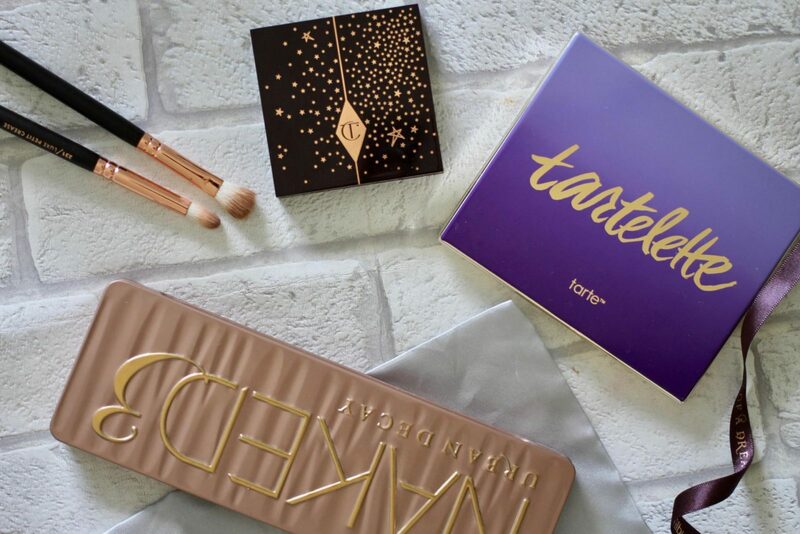 This one is the Tarte Tartelette palette, this palette is full of matte shades which blend so easily. There is 12 shades in this palette, starting from light to super dark so you can really change up your eye look everyday with this palette. I find these shadows the easiest to blend and can create a super simple but statement look with this palette. This one is £36, the cheapest out of all three and definitely a staple in my collection.